A preseason open test at Circuit of the Americas and in-season open tests at the Indianapolis Motor Speedway oval and WeatherTech Raceway Laguna Seca highlight the 2018-19 IndyCar Series testing rules issued to teams by INDYCAR. Circuit of the Americas, the popular permanent road course added to the 2019 schedule as the second race of the season on March 24, will play host to the only official gathering of all IndyCar Series full-season entries before the season starts. The track in Austin, Texas, will be the site of a two-day open test on Feb. 12-13 as teams prepare for the season opener on the streets of St. Petersburg, Florida, less than four weeks later. Teams are scheduled to test on the iconic 2.5-mile Indianapolis Motor Speedway oval on April 24, ahead of on-track activities in May leading to the 103rd Running of the Indianapolis 500 on May 26. WeatherTech Raceway Laguna Seca near Monterey, California, returns to the Indy car schedule in 2019 for the first time in 15 years, serving as the season finale on Sept. 22. An open test day is set for Sept. 19, just ahead of the official race weekend. The private testing period runs from Oct. 1, 2018-Sept. 11, 2019, with blackout periods around Thanksgiving and Christmas and within seven days of all race weekends except prior to the St. Petersburg opener. Each team is permitted three preseason test days that must be completed by March 4, 2019. 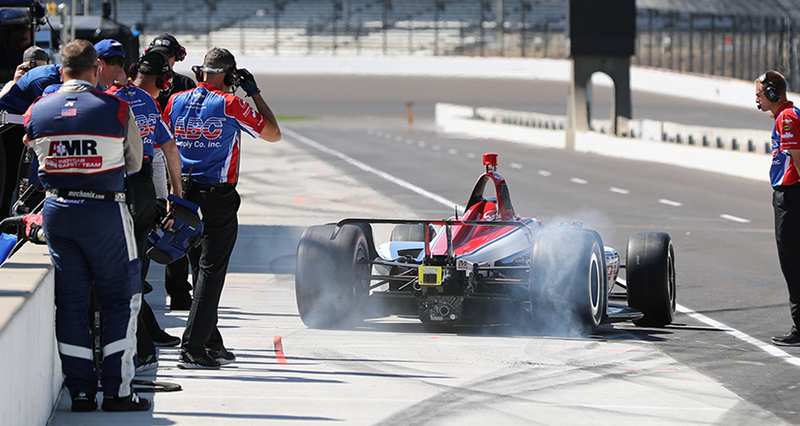 Full-season IndyCar Series rookie drivers are permitted two additional test days to be used by Sept. 11, 2019. New IndyCar Series teams are also granted two additional test days. Full-season IndyCar Series teams may take advantage of an extra day to test current Indy Lights presented by Cooper Tires drivers. A team with at least one full-season entrant in both the IndyCar Series and Indy Lights is also accorded one extra test day. Chevrolet and Honda each receive one engine manufacturer test day at any approved track other than the three where open tests will take place. The 2019 IndyCar Series schedule consists of 17 races, opening with the Firestone Grand Prix of St. Petersburg on March 10. All races will be televised on NBC or NBCSN. More information on the open test will become available later in 2018. The inaugural IndyCar race at Circuit of The Americas is scheduled for March 22 - 24, 2019. Visit circuitoftheamericas.com/indy for tickets.